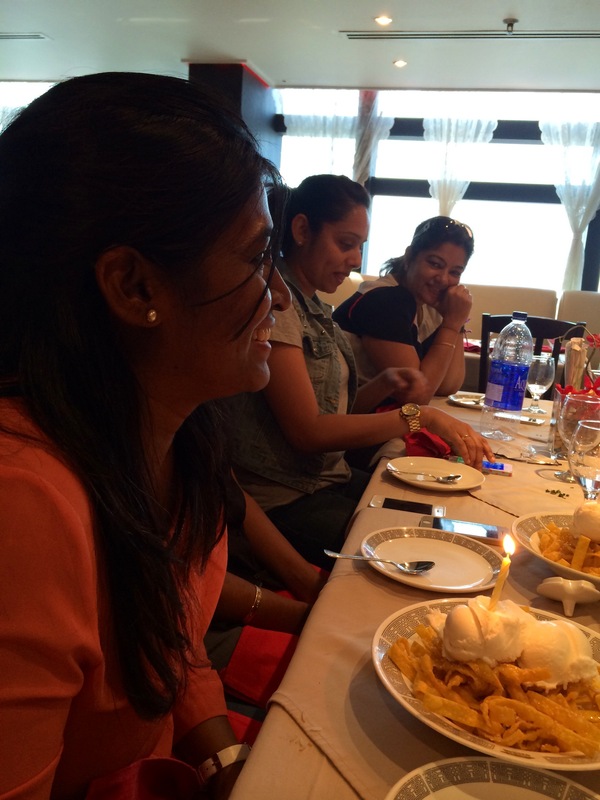 We have a tradition in the office wherein we celebrate everyone’s birthday by treating them out for lunch. See Day 25: Happy Birthday to the Boss! 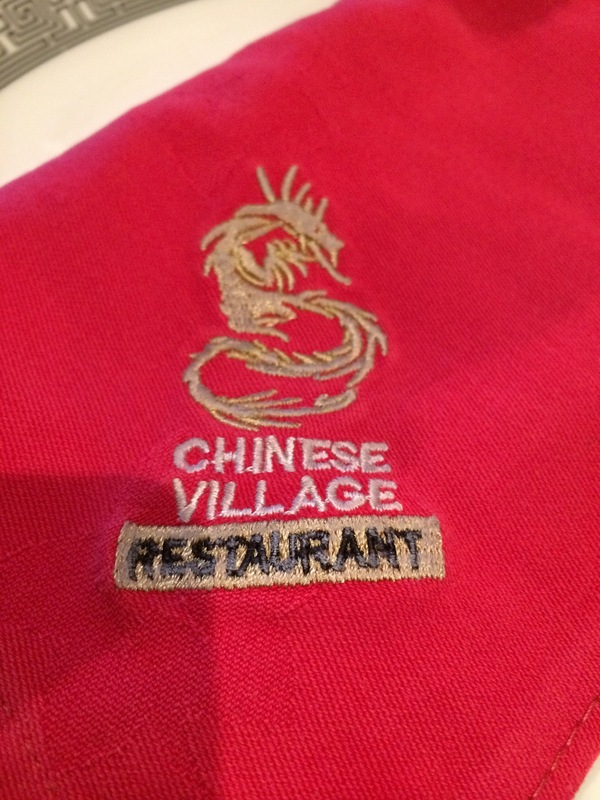 So for BM’s birthday on Thursday, our boss suggested we try Chinese Village 2 in Seaview Hotel Bur Dubai. 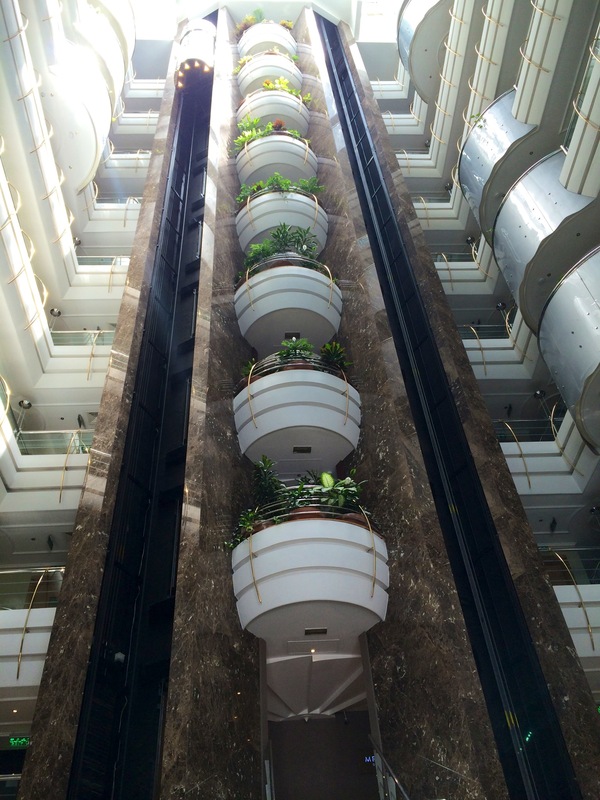 We left the office at 1 pm and reached the hotel within 15 mins. 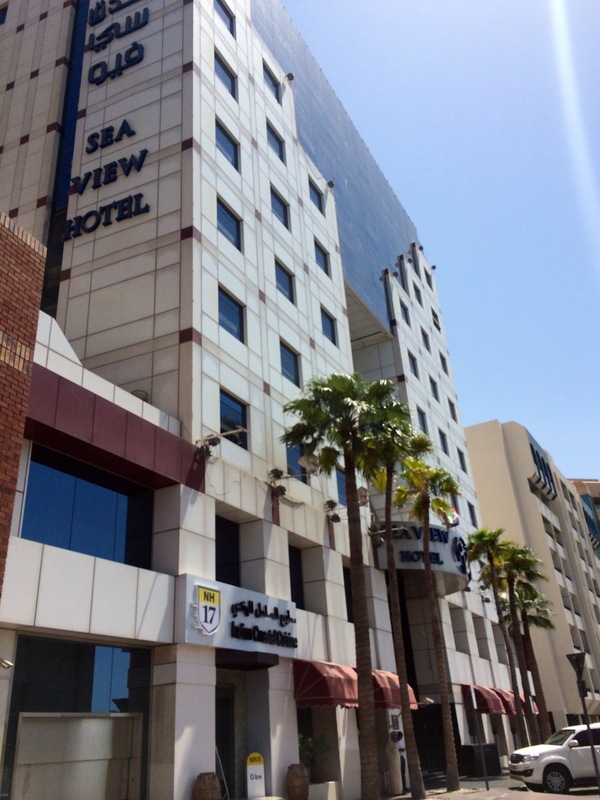 Seaview Hotel by the way is conveniently located along Al Mina Rd. Bur Dubai opposite Dubai Customs. Chinese Village 2 sits on the 7th Floor and offers a great view of the Arabian sea. 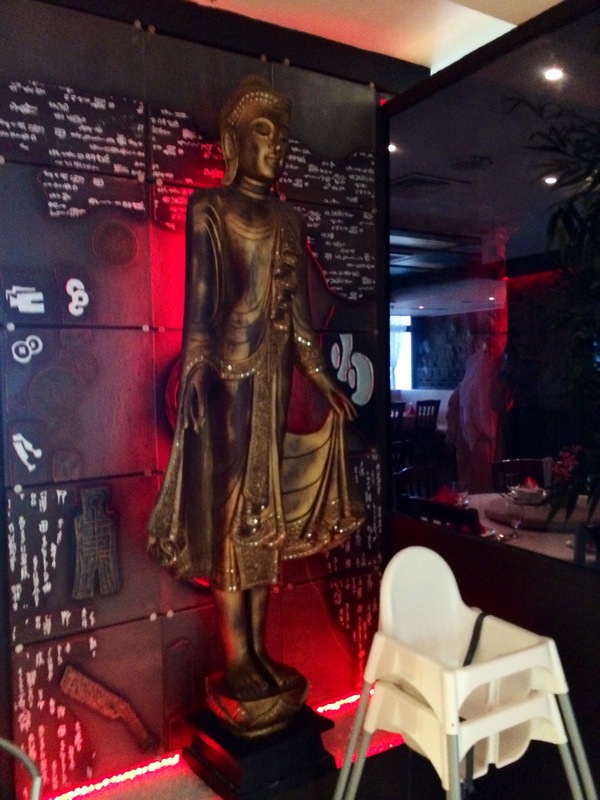 The Asian vibe of the restaurant is evident with its dark and red theme. Different Asian artifacts also surround the area. 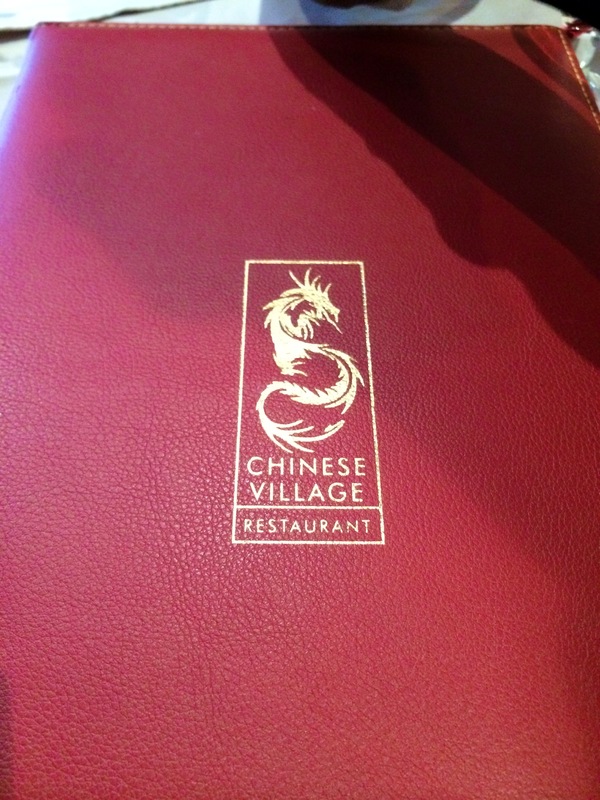 Really relaxing and vibrant dining atmosphere! Since most of us were first timers, we placed the orders according to boss’ recommendation. Prices by the way are mid to high range. But since servings are quite huge, each dish can be shared by 2-3 people. 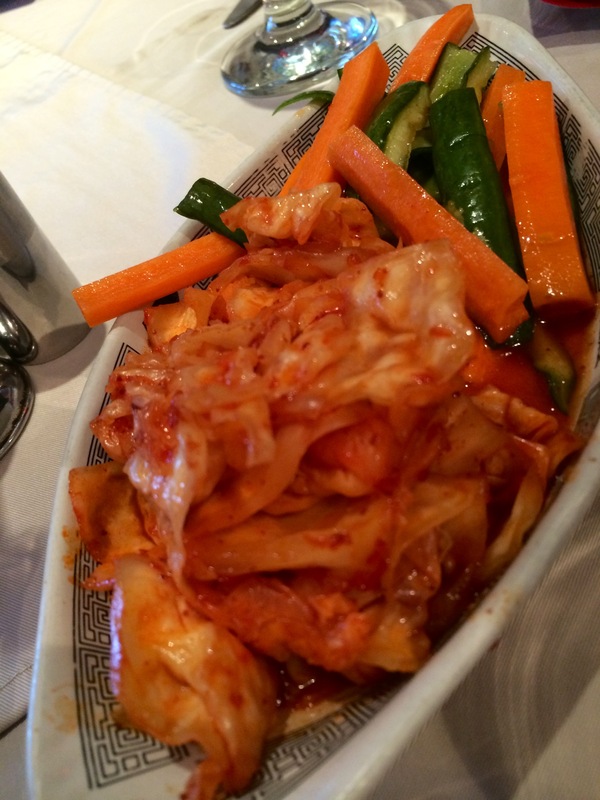 While waiting for our mains, this Kimchi Salad arrived on our table. After some time, the waiters started serving lunch. First came Crispy Chicken and Spinach dish. According to boss, this is one of Chinese Village’s most famous dishes. Well it makes sense because it turned out to be the highlight of my whole meal! THIS IS A MUST TRY! 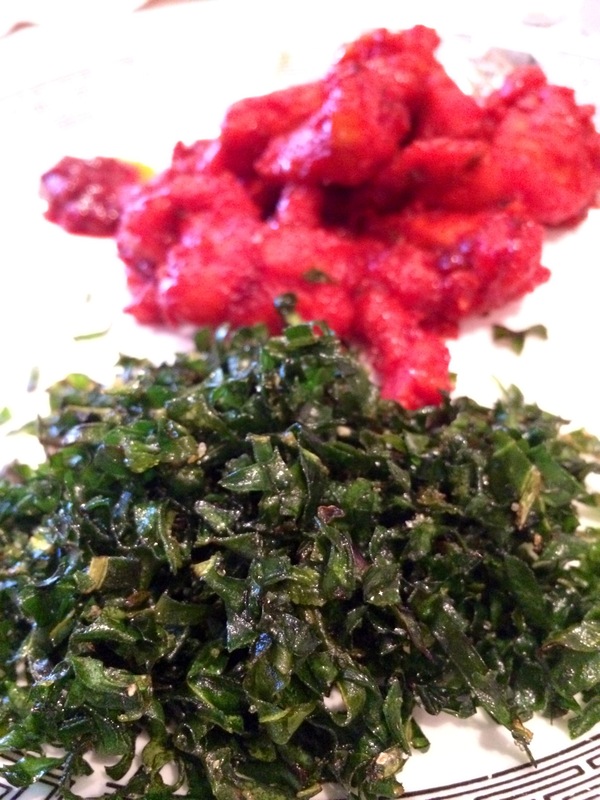 The spinach was not only crispy but surprisingly very tasty as well! The spicy chicken was also a star! 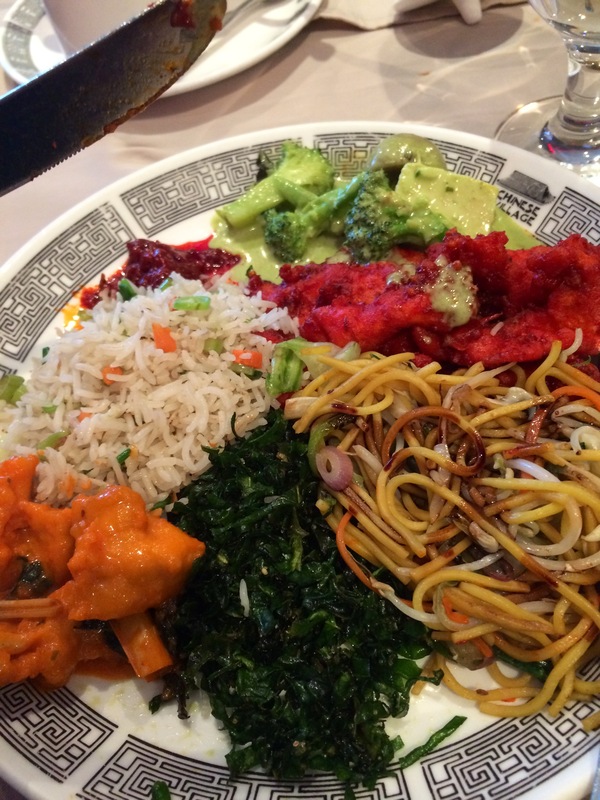 Chinese Village Restaurant, my plate of delectable Indian-Chinese food! Yum! Honey Noodles with Vanilla Ice Cream. 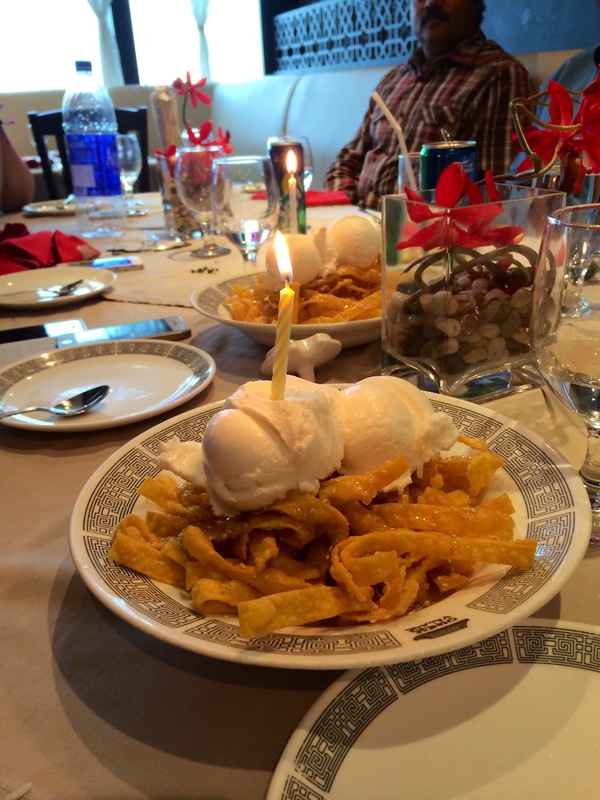 Chinese Village 2 does not offer any cake on its menu so the staff had to improvise when we told them we were celebrating BM’s birthday. Plus points for their excellent service and creativity 🙂 The vanilla ice cream complements the honey noodles very well. I highly recommend this dish especially if you want to try something different from the usual chocolate desserts. Overall, we enjoyed our first Chinese Village 2 visit. Quality food topped with great company (and funny stories) made it all the more remarkable 🙂 Happy Birthday BM! All the best for you and your family! 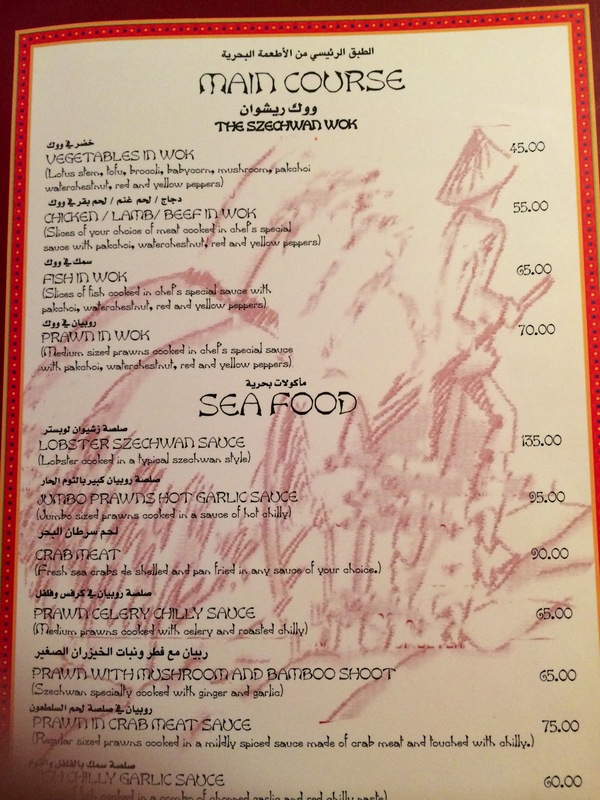 Posted in Dining in Dubai, Dubai Guide, Food, UAE, WorkTagged Bur Dubai, Chinese Food in Dubai, Chinese Village 2, Chinese Village Restaurant, Crispy chicken and spinach, Honey noodles with vanilla ice cream, Indian-Chinese food in Dubai, Seaview HotelBookmark the permalink.